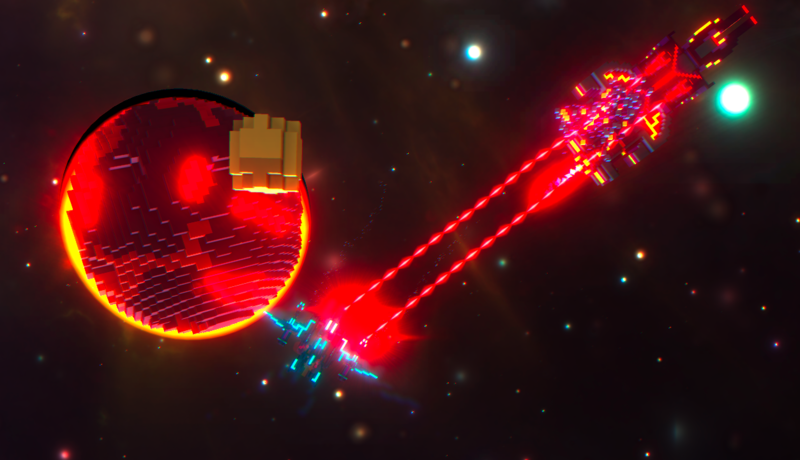 [NOW on Greenlight] Starlight ROGUE: Intergalactic Warfare, Unscaled. 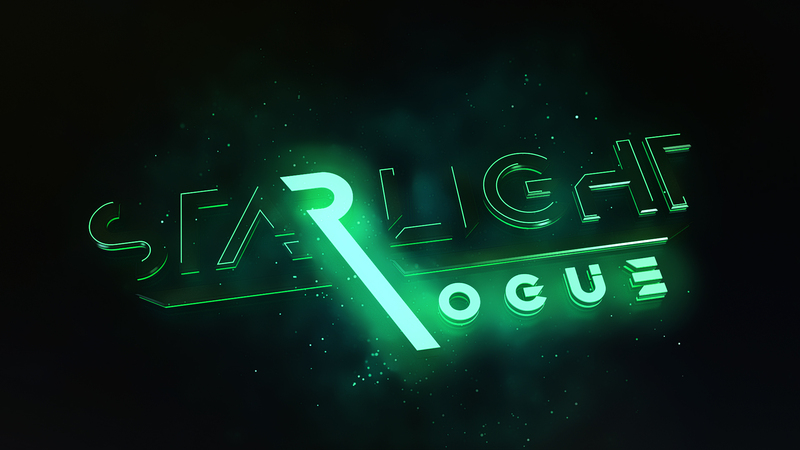 TIGSource Forums Community DevLogs [NOW on Greenlight] Starlight ROGUE: Intergalactic Warfare, Unscaled. Starlight ROGUE is a love-letter to the 80s generation of arcade gaming, mixed with modern-day graphics and innovations in gameplay and mechanics. 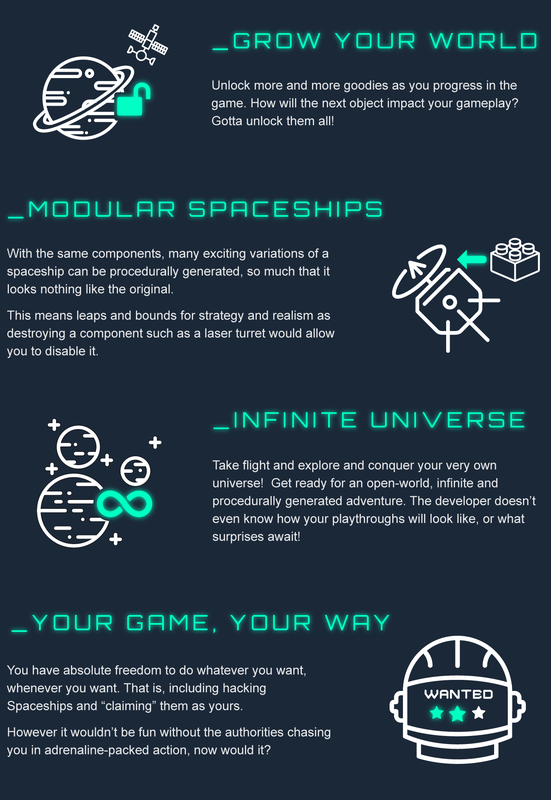 Ever wanted to progress by growing your own universe and experimenting with Lego-like spaceships in space? Or wanted to travel the stars and make a notorious name for yourself? Well now you can. This game is under development for about 5 months now. The progress is about 50-60% complete. It's the first real game the developer has made and he quit his Graphic Design career to pursue his Game Dev dreams. He started developing as a kid making the highly viral mods Cloaked Cannon Defense and Multiple Missile TD (for Starcraft and Warcraft3). New update video featuring a start on coding the Diplomacy System, Lasers, and cool post-processing effects. Hey guys, I added two new screenshots depicting the awesome new features I worked on the last week. Check out the difference in the quality of the graphics compared to before! - Lasers! Yes every space shooter needs them, but as always quality is number one priority here so expect no less in terms of how gorgeous they look and feel. - Many Post Processing Effects were added to achieve this. This includes a Bloom filter, Occlusion filter, and a SSAA filter, all three of them are premium and paid plugins. It's my pleasure to announce that this project has JUST been published to Steam Greenlight (click here to go there) ! If you like what you saw so far, please spare a moment of your time to vote YES. Thank you. - I have really played with the scale of the ships to make them seem worthy of their status as Destroyer Capital ships! You will surely tremble in awe now at the sight of them, especially if your ship is small the camera will be zoomed in because of that. - Also added a new race along with their first ship~ this race will be organic in their designs and otherworldly. Their AI will be very violent and merciless. - Camera now will zoom out while moving fast, zoom back in while slowing down. - Space stations to repair your ship. - Cargo ships to ambush , will have their own turrets later though. - Collision damage! Ram into enemy spaceships for huge damage and explosions :D Will be an organic race that focuses on that aspect. Thank you for checking out Starlight ROGUE, if you have any questions or feedback please feel free to post it and I will be sure to answer them! Project looks nice and solid. Will you have any missions, or will it really be a "do what you want" game? Thank you eyeliner, great questions. Regarding missions, yeah of course, it does need a sense of purpose in the game being an infinite roguelite, so anything that achieves it is naturally considered. Missions, whether procedural or not, can add a lot to that; also perhaps being able to grow the current universe with mission completions could likely be a nice bonus. Looks fun, it gives me the impresion of something like Tron but in space, is this something like a roguelike shmup? Cheers robgacu. Tron has indeed been a big inspiration to me, I watched Tron Legacy about 3 times simply because of its cool visuals and awesome music. I guess if it's a SHMUP, it's more like a free roaming GTA top-down sort. If anything I try to mix all kinds of things until its really hard to put a genre on it. The graphics look really stunning and from what i can see the gameplay also looks like it will be fun. To do give some feedback like i always try to do; I couldn't really hear it, but i think it would be nice if you subtle change the pitch of shooting sounds randomly. And have a 1 out of 5 chance for an extreme sound pitch, this way the audio feels much more alive. // this one i use to allow slowmo of sounds when the game goes in slowmotion, for all the sounds that are already playing i loop over the active sound array and set their pitch individually. I will also follow this from now on to see its updates! great work. 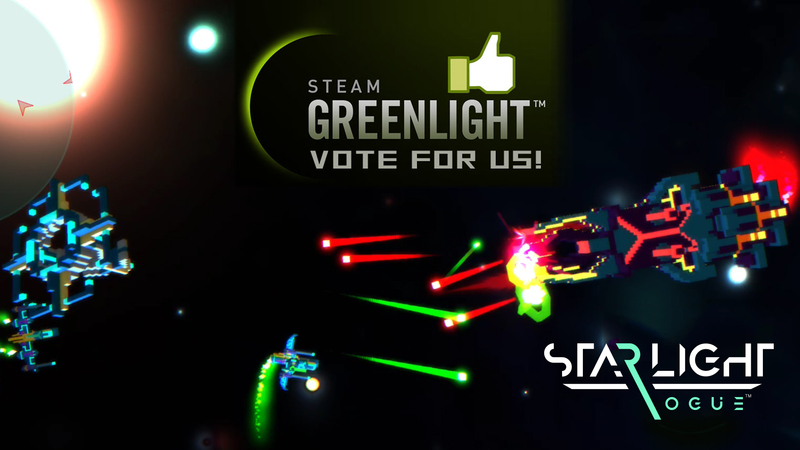 Re: [VOTE NOW ON GREENLIGHT] Starlight ROGUE: Intergalactic Warfare, Unscaled. Hey all, it's my pleasure to announce that this project has JUST been published to Steam Greenlight (click to go there) ! If you like what you saw so far, please spare a moment of your time to vote YES. Thank you. 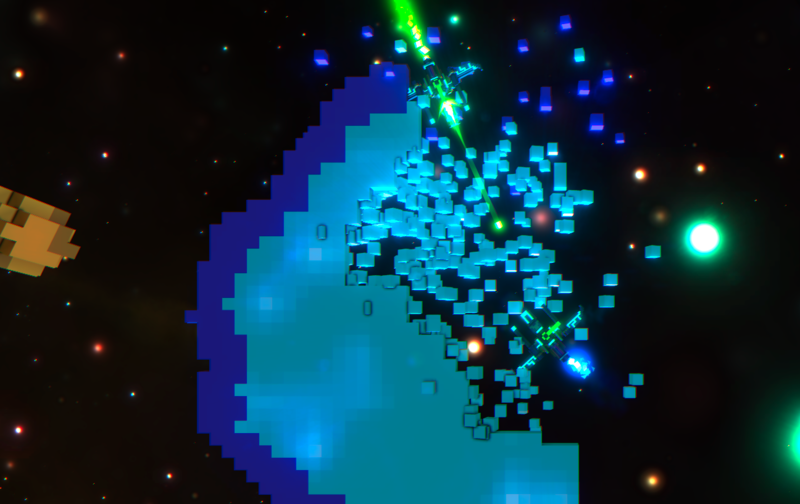 Re: [NOW on Greenlight] Starlight ROGUE: Intergalactic Warfare, Unscaled. Also @Smerik, I've implemented your code and it's great, I'll definitely mention you if I do a video vlog next time. Looks really awesome and just voted yes for your project. Also, one question: Any plans for online multiplayer (or at least LAN)? Is the game all about combat? What does money do? Because from the trailer and LP, all I see is ships shooting each other, and some nice gfx. Where's the proc-gen? That means a lot thank you. I think online multiplayer is too ambitious for my first project right? A lot of debugging involved for that. I think two player co-op is the easiest to implement and would be awesome feature if I bring this to expos, what do you think and what was your personal experience of it? Great questions! It's not all about combat as I do want some kind of a downtime with exploring, mining, building diplomacy etc ( I'ved updated the Features section so maybe it's more clear ). It's just that as far as the development went right now, I just focused on that aspect as it is the most important one. The procedural generation is behind the scenes, the map is infinite and open world, random per play through (rogueLITE). For your credits, that's yet to be decided but the simplest way is to unlock new things in the universe after your playthrough ends either that or spend it on shop upgrades. Well, I think it's a great idea when you can implement the multiplayer in its very first steps. One advice: Balance is one of the most crucial aspects when you design a multiplayer game. You need to make sure that the challenge is good enough to fit the co-operative experience of two players. Thank you both, will do! I posted a bit of an update to the original post, enjoy! Destructible Terrain: Now you can REALLY interact with the environment. Form your own strategies by using them as cover or digging holes and choke points for strategy. How to OUTSMART your enemy 101. Use Terrain. Post #1 looks real nice now. I should steal that idea with a picture summarizing the most important stuff, honestly. The warp effect is cool af, if you pardon my language. But I can't tell if it's specific to lasers or just an effect on enemy dying. Hey, glad you liked it. Do you mean the shockwave effect once enemies die? yeah right now it's globally when enemies die, but i may change the radius depending on the type of weapon. The minimap has been there for a long time now, but yeah it is probably lets say a month old. Good that you noticed the indicators not changing, I fixed that shortly after the video, and in the video I didn't showcase all the Human faction turning on you as a result of backstabbing them hehe. Once I have more UI elements showing diplomacy increases I think it will get a lot more interesting. I'm currently working on that and mining inside of those procedural terrain.